A computer business solution system which had entered into a Rs 572 million-agreement with the Ministry of Education, to provide computer equipment to 1,000 schools, had suddenly put up shutters, leading to a loss of over Rs 500 million to the education sector, the Ceylon Teachers’ Union (CTU) claimed. thousand schools had been supplied with substandard or broken computers, he said. In 2010, the Education Ministry signed two agreements with Business Solutions Systems (Pvt) Ltd., a company based in Nugegoda. The company and the ministry were working on a project to provide 5,000 computers to 1,000 schools, islandwide. However, the company had provided substandard equipment, which was found to be unsuitable for use. Reportedly, most of the hardware supplied did not function at all, sources said. Meanwhile, the business had folded up on Wednesday (31) and the office had been shut down. 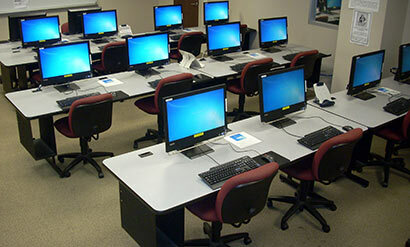 “Each school received five computers. Many of them did not work, and had not been repaired even though the principals of the schools had repeatedly contacted the company and the Education Ministry. The ministry secretary had been notified of the issue in writing, innumerable times, yet the ministry had not taken steps to contact the company and get the faulty equipment repaired or replaced. As a result, nearly all the equipment had been inoperable. The project has been a complete failure and has led to a massive loss to the ministry,” Jayasinghe charged.